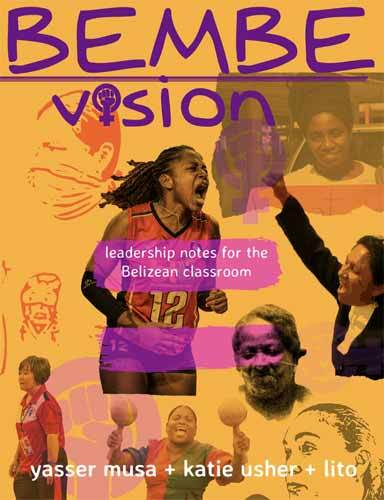 The Image Factory Art Foundation announces the public release of a new book titled Bembe Vision: Leadership Notes For The Belizean Classroom. Researched, written and designed by Yasser Musa, Katie Usher and Lito, this eBOOK takes a different approach to examining our history, society and cultural landscape though the eyes of radical and revolutionary women across time and space. The book is designed to be a proactive and provocative tool for teachers and students to ask questions about why women continue to be left out, ignored and erased from the mainstream historical narrative, and why after decades of political independence we are still in a pathetic state as it relates to women in power in Belize. Bembe in this book has a double concept. It has a deep rooted West African meaning of community spirit of recognition going back thousands of years, and it also has a colonial context where females were called bembes or “bully women” especially in the early and mid 20thcentury labour-nationalist mobilization.